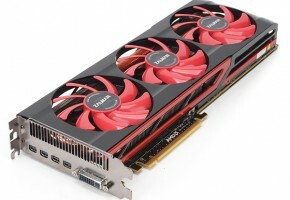 In late 2012 first reviews focused a new frame rating testing procedure revealed that AMD cards are facing the issues, which were not known, or more precisely documented, in a typical reviewing method. On the contrary, NVIDIA graphics cards were performing considerably good on this field. 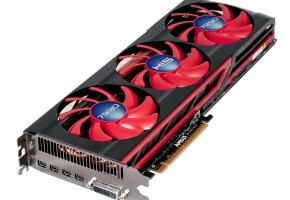 Today AMD launched its reference Radeon HD 7990 codenamed Malta. 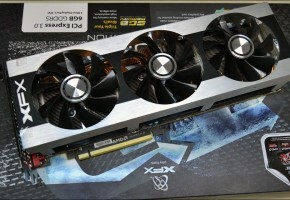 The card is nothing less than a CrossFire configuration of Tahiti GPUs mounted on a single PCB. The Radeon HD 7000 series CrossFire frame latency on is a known issue at this point, since the custom models were already tested. This, nobody expected a miracle from the new Malta reference design. The reviewers who did not only focus on the frames-per-second tests, but also frame rating technique, received an early prototype drivers for the test. As it turned out, this new Catalyst driver has significantly decreased the frame-latency issue. These drivers are already available for the download (here), of course this is an unofficial version, so make sure whether you want them installed. However, this driver is not nearly close to end-user availability so we were not comfortable reviewing a product with it. I don’t expect this driver until the late-June or July time frame, but the early results look promising. As you can see, this is indeed a huge improvement, not surprisingly many people call this a breakthrough. The breakthrough which cause a positive fuss in high-end segment. With this in mind, the guys over at ComputerBase made a short interview with David Nalasco (AMD Technology Marketing Manager). 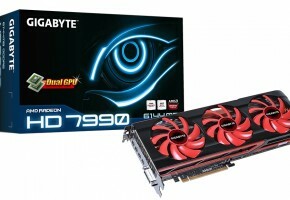 ComputerBase: The Radeon HD 7990 is a blistering fast gaming graphics card – simply measured in frames per second. However, it’s a dual GPU card and still facing the same multi GPU problems we’ve seen over the last years. The card is not delivering the frames rendered evenly distributed within a second. Instead, some frames are rendered fast, some need more time. The result: The game seams to stutter even at high average frames per seconds – known as „Micro Stuttering“. The results are not as bad as some graphs may show. But, depending on the games, the pure power of the card can be wasted. How do you feel about releasing such a hardware to the market which is not able to show it’s full potential? David Nalasco, AMD: We are releasing the Radeon HD 7990 now because we believe it is the most powerful single graphics card available, delivering the best overall experience in the most demanding games at the highest resolutions and image quality settings. We have validated this claim ourselves through actual gameplay testing against other single and dual GPU products. We would like to caution users against paying too much attention to results generated by existing frame time measurement tools such as FRAPS, because limitations of these tools keep them from providing a true picture of gameplay smoothness. AMD is committed to identifying and eliminating any issues that can have a noticeable impact on smooth and responsive play. We have made significant strides in this area with recent Catalyst drivers in this area, and we will continuously improve them. Our motto is “never settle”, and we don’t believe that any product we release is ever showing its full potential because we are always searching for ways to make them better through software updates. ComputerBase: AMD has announced to be working on an alternative rendering method to be available in the Catalyst drivers as an option. By choosing this method, the graphics card tries to render the images with more aligned frame times. Nvidia does this for several years, now. And even though this method has its downsides too, users (and journalists) in Germany do rather use it than the default option. 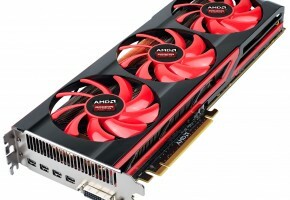 Why is it taking so long to offer such an alternative for AMD customers as well? David Nalasco, AMD: We have not released a frame pacing option in our drivers so far because we have not been convinced that doing so would necessarily have a net positive effect on the gameplay experience. Improving gameplay smoothness is a complex issue, and this is only one piece of the puzzle. That said, we are now experimenting with an optional frame pacing technique in our drivers that will allow our users to determine for themselves if this is beneficial. ComputerBase: Journalists and users worldwide use FRAPS as their No. 1 benchmark tool, also for Micro Stuttering analysis. However, it’s an open secret that it’s not perfect in doing this task and, therefore, AMD and Nvidia did both express their concerns about the tool. 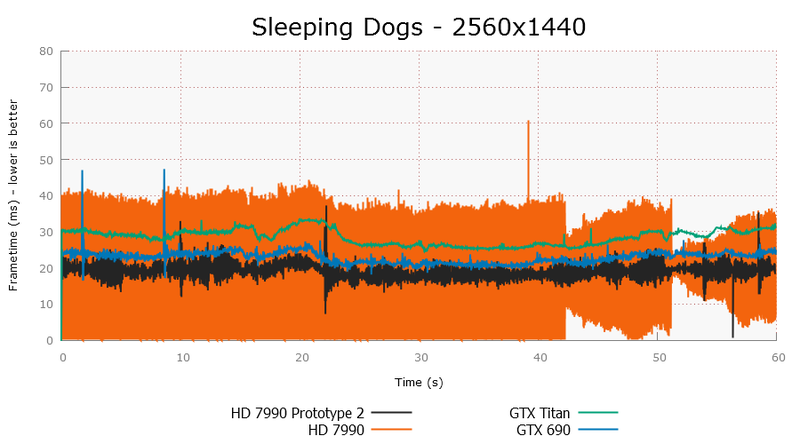 But only the guys at Nvidia have walked their talk and published an alternative tool called „FCAT“ which is supposed to be better frame pacing analysis tool. How do you feel about FCAT? Does AMD support this approach? Or will there be a substitute for FRAPS from AMD? David Nalasco, AMD: It is important to understand that regular frame pacing does not necessarily translate into gameplay smoothness. Other issues, including uneven game simulation updates or long latencies from user input to displayed frames, can often have a more significant perceived impact. So while we believe that FCAT does provide some interesting information, on its own we do not see it as being any more useful than FRAPS for helping to identify or solve smoothness issues. On the contrary, the results from tools like these can be misleading since they can exaggerate issues that have little noticeable effect, while completely missing issues that are much easier to notice while playing a game. While we appreciate the desire for users and reviewers to have a simple tool that clearly and simply evaluates gameplay smoothness and responsiveness, we do not believe that such a tool exists yet. Many game developers (as well as our own driver engineers) use tools like Microsoft’s GPUView to better understand and solve these issues, but these tools are not particularly user friendly or easy to interpret. It may be possible to develop better measurement tools in the future, but for now we recommend that reviewers supplement existing tools with subjective, un-biased gameplay evaluation to provide the most meaningful results. ComputerBase: Nowadays, every multi GPU system from AMD and Nvidia uses the rendering technology Alternate Frame Rendering (AFR). AFR scales well, that’s an upside, the downsides are Micro Stuttering and Input Lag. All in all, it’s not perfect, since multi GPU users are facing problems which single GPU users do not. So what about future enhancements to AFR or even alternatives? Is AMD working on that issue? If yes, how? And when will enthusiasts, which buy your high-end multi GPU setups, experience possible improvements? David Nalasco, AMD: Alternate Frame Rendering has proven to be the simplest and most effective method of workload sharing for graphical applications, and will probably continue to be the most widely used. While still not perfect, we believe that current solutions have matured to the point that the benefits of AFR for gaming far outweigh any limitations, and will continue to improve. In the future, games with native support for alternative workload sharing methods are certainly possible, and these could be particularly interesting for asymmetric GPU combinations (such as discrete + integrated graphics).